Using essential oils topically is probably the most useful method of aromatherapy. It allows the oils to slowly absorb into your skin in order to treat local conditions like rashes, joint inflammation, headaches, or muscle pain. However, if you don’t dilute your essential oils the right way, you could end up with irritated skin, an allergic reaction, or even burns. So how can you make sure you are diluting essential oils properly, and how can you apply them to your skin without causing a harmful reaction? Read on for a complete, A-Z guide on how you can dilute essential oils safely. There is a lot of contradictory information online about how essential oils should be used. That’s why I want to start by quickly addressing the top reasons why you should always dilute essential oils before using them on your skin. First off, essential oils are very concentrated and powerful substances. If they are applied to your skin without being diluted, they can cause lots of negative effects, including rashes, burns, or even serious allergic reactions. You don’t have to take my word for it. Just check out the injury reports collected by the Atlantic Institute of Aromatherapy, and see how many people report problems after using undiluted essential oils. And it’s not just a one-time thing, either. If you use undiluted essential oils, it’s also quite possible to become sensitized to a specific essential oil so you cannot safely use the same oil later, even if it is diluted properly. There’s one other thing I need to clear up. Skin reactions to undiluted essential oils are NOT an issue of essential oil quality or purity. Of course, you should only use top-quality essential oils from a supplier you trust. Oils that have been adulterated in any way pose additional safety concerns. However, even the most natural, pure essential oils can cause negative reactions unless they are used properly. Do All oils need to be diluted? You might have heard that a few specific essential oils, such as lavender or frankincense, are safe to use on the skin undiluted. It’s certainly true that some essential oils are much less irritating to the skin than others. It’s also true that different people will react differently to essential oils. However, even supposedly safe and gentle essential oils can cause allergic reactions or skin sensitization over time. Yes, there are people who have used essential oils undiluted on their skin without developing a negative reaction. But why take the chance with your own skin — especially when you consider that essential oils have powerful therapeutic properties even when they are significantly diluted. In case you still need additional reasons to dilute your oils, here are two more. Undiluted essential oils evaporate very quickly. In fact, it’s one of their defining characteristics. This means if you use essential oils on your skin undiluted, much of the oil is simply going to evaporate into the air before it has a chance to act on your skin. Basically, if you dilute essential oils, your skin will actually absorb more essential oils — but in a safer way, over a longer period of time. Because of this, diluting oils can actually lead to more therapeutic effects. Second, you won’t dry out your skin as you will with undiluted essential oil. Check out the second part of Robert’s video above to see the drying and peeling on his skin after he uses undiluted orange oil. Which substances can you use to dilute essential oils? When you dilute essential oils, you mix them into a substance known as a carrier. However, you can’t just use anything as a carrier. Let’s look in detail at the different substances that you can use to dilute essential oils. Plant oils are by far the most common kind of essential oil carrier. A few examples include coconut oil, argan oil, almond oil, and olive oil. Plant oils are any kind of pressed plant, seed, or vegetable oil and will do a great job diluting your essential oils. Carrier oils differ in many ways. They have their own unique aromas, feel different on the skin, absorb at different rates, and have distinct skin benefits. At the bottom, creams and lotions are an emulsification of oil and water (basically, a mix of two things that normally wouldn’t mix). This means you can also dilute essential oils in oil-based creams and lotions. How can you know whether your cream or lotion contains an oily substance? If the ingredients list contains items named “triglyceride” or specifically refers to a plant oil such as “coconut oil” or “olive oil,” you’re good to go. Aloe vera gel/jelly can make a good carrier for essential oils. It also has skin benefits on its own, making it a perfect carrier for topical aromatherapy applications. The important thing to note is this is NOT simply aloe vera extract. Aloe vera extract is mostly water, and will do little to dilute essential oils. Instead, I’m thinking of commercial aloe vera gels that have had emulsifiers and thickeners added. Here’s a good example sold on Amazon. Plant oils aren’t the only substance that dilutes essential oils. Alcohol does so as well. In fact, alcohol is typically the carrier used for essential oils in perfumes. The trouble is, the drinkable alcohol you can get at the liquor store is not adequate for properly diluting essential oils (more on this below). Instead, you will need alcohol that’s around 180 proof (90% alcohol) or more. Examples of this include Everclear or rectified spirits. There’s a lot of advice on using essential oils that claim you can use various other substances to dilute them. Here’s a list of some howlers — substances that are frequently recommended as carriers that will not do anything to actually dilute essential oils. This means they won’t mix in any way with water or water-based substances such as tea, juice, or vinegar. 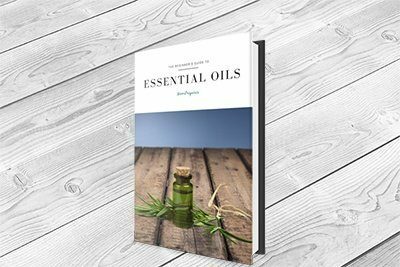 The best you can hope for is that if you put a drop of essential oil in water and stir or shake vigorously, the drop will temporarily separate into a few smaller droplets. Give it a few minutes, and the essential oil will rise to the top and stick together again — not what you want for topical applications. Honey is basically a mixture of sugar and water. It will not dilute essential oils. However, because it is a thicker, more viscous substance than just water or juice, it will keep separated droplets of essential oils apart better than plain water. Nonetheless, it won’t actually dissolve those separated large droplets. That’s why honey is not an appropriate carrier for topical essential oil applications. As mentioned above, it is possible to dilute essential oils in very high-proof alcohol. Unfortunately, vodka, tequila, or gin don’t fall into this category. Check out this video by Shannon Becker of Petrichor Apothecary, in which she shows exactly how bad vodka is at diluting essential oils. Once you’ve got your essential oils and your carrier, the next step is to decide how much of each you will need. Let’s say you have an aching shoulder, and you want to use some peppermint essential oil, diluted in almond oil, in order to soothe it. You check the chart above and find that a 2% dilution is safe to use in this case (let’s assume you’re an adult!). Also, you estimate you need about a tablespoon of carrier oil for this use. Now, 1 tablespoon is equal to 3 teaspoons or 15 ml. So you’d go to row 4 (15ml) and column 3 (2%) in the chart above and discover that you need to use 9 drops of peppermint essential oil in your tablespoon of almond oil. Using essential oils topically with kids requires some special precautions. Some experts, such as Leslie Moldenauer, recommend avoiding topical application entirely on kids under the age of two. Babies’ skin hasn’t fully matured, and this means an increased risk of irritation by essential oils. Other experts, such as Robert Tisserand, are ok with topical application on babies in very, very light dilutions. As you can see, it takes a very small amount of essential oil to make a recommended dilution, particularly for younger kids. The difficulty of measuring this out exactly (unless you’re making a really big batch) is another good reason for avoiding topical use with babies. The fact is, the dilution chart above is only part of the story. That’s because different essential vary a lot in how irritating or sensitizing they are on your skin. For example, Robert Tisserand’s Essential Oil Safety states that a maximum safe level of tea tree oil for skin use is 15%. Pretty high. On the other hand, there are more irritating essential oils, such as oregano (maximum dermal use 1.1%). And then there are highly irritating essential oils, such as cinnamon bark. Its maximum dermal use is only 0.07%! Well, if you are using an oil for the first time, you should get acquainted with its safe maximum dilution for skin use. Again, the best and most complete resource for this is Tisserand’s Essential Oil Safety. We’ve covered a lot of ground so far. Figure out the dilution ratio you want to use. Consult the charts above to decide on the ratio based on things like age (eg. 3-year-old, teenager, grownup), specific use (eg. massage oil), and the essential oils you will be including. Figure out how much of the resulting diluted blend you need. For a single skin application on your face, a teaspoon might be enough. For a massage oil, you might need an ounce or more. Based on the dilution ratio and the amount of carrier you are using, use the charts above to figure out the amount of essential oil drops you need to add. Add the right number of essential oil drops to your carrier. Stir everything to make sure the essential oil and the carrier mix well. In many cases, it definitely makes sense to prepare a bigger batch of diluted essential oil so you have it available. Also, several essential oil uses only require a bit of oil, which makes it impractical to make a single serving. If you want to store your diluted essential oils for later, simply make the dilution according to the process above. Then, store the blend in a tightly sealed glass bottle, and keep the bottle in the fridge. This will keep your essential oil as well as your carrier from degrading, and it will preserve their therapeutic properties for longer. Essential oils are frequently used in aromatic baths. This is a great way to relax as well as get therapeutic benefits that the oils offer. However, the way to dilute essential oils is different in this case. Yes, you can follow all the same steps as above. However, you’ll likely get an oil spill inside your bath tub. It will smell nice, but it might not necessarily be pleasant to bathe in. Instead, follow the advice from expert aromatherapist Leslie Moldenauer. Leslie’s advice is to basically to use a surfactant, such as a shampoo or liquid castile soap. This will allow your essential oils to disperse evenly throughout the bathwater instead of just sitting in that oily patch on top. Topical application is a great way to use essential oils for many applications, ranging from skin issues to headaches to muscle pain. And by following the simple guidelines above, you can do it both safely and effectively. All it takes is a bit of planning so you add the right ratio of essential oils to the carrier you will be using. Do you have any other questions about how to dilute essential oils? Let me know in the comments below and I’ll do my best to help. Just wonder if I have a mixture of certain oils & it says to top up with fractionated coconut oil,how much wld I use? What’s the ratio of diluting peppermint oil with ethanol for use as flavour? Hi, kindly let me know the right dilution for my request n let me know if i am on the right path. I want to make body oil that can be used for both the face and entire body. I have a very sensitive skin and combination skin type, so i want to use 1% to 2% dilution. I want to blend 20 oils together(10EO & 10 CO). I want the body oil to brighten the skin, clear dark patches, stretch marks, acne, skin rashes, glow the skin, moisturize the skin & rejuvenate the skin. I also want to be able to use on a child at 10yrs as well. I read abt the benefits of these oils listed below and i think they are what i am looking for and i want to mix them together. Ingredients as follows; CO: Rosehip, Argan, Evening primerose, Jojoba, Tamanu, Avocado, Marula, Grape seed, Sea bucktham & olive oil. The EOs are: Lavender, Lemongrass, Carrot seed, sandalwood, jasmin, maryosa, rosewood, frankincense, ylang-ylang & tea tree oil. Please i want to know if its good to mix all together and if so what is the right dilution if i am using 50ml bottle or 100ml bottle? How many drops of EO i have listed shld i use and how many drops of CO i have listed should i use. Also can i put them in an airless pump bottles? I am open to any suggestions. Thank you and hope to see your reply soonest . I have numbness in my lips and feet and legs..is there any essential oils that I can use to help the?? I found all of this very helpful so I feel compelled to kindly let you and other readers know that the dilution chart is incorrect. The amount of drops is not equivalent to the percentage given. For example, a 2% dilution should be 12 drops for 30mL of carrier oil. 2% of 30mL is 0.6mL. 20 drops of essential oil is equivalent to 1 mL so 12 drops is 0.6mL. There are many other charts (with much more accreditation might I add) that you may find to be more accurate and helpful to avoid causing burns or other issues. Best of luck!